President of Sila National Park in the period 2009-2014. Commissioner of Sila National Park since 2017. Associate Professor of Tourism Marketing and Place Marketing, Dipartimento di Scienze Aziendali e Giuridiche, University of Calabria. 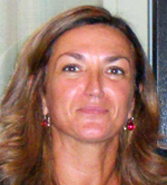 She has also taught Event Marketing, Management, Service Management, Tourism Management, University of Calabria; before researcher at the same University, since 1993. President of Tourism Science Degree Course at University of Calabria 2007-2016. Rector delegate for services’ quality (1999-2005), University of Calabria. LSA - Leisure Studies Association – University of Brighton (UK)- (since 2005).